If you want to be more effective as a coach, start putting neuroscience to work for you. How? Do you know how to create the optimal conditions for your clients that will maximise your coaching impact? Do you know how just a little knowledge about how the brain works will help you deal with yours & your clients’ biggest challenges? Do you want to know what to do next? The brain is the driving force behind every thought, memory, emotion and behaviour that you and everyone you meet will ever have. Knowing more about how the brain works will benefit anyone who is involved in coaching others – whether formally or informally. Is your way of doing things neuro-effective™? Or to put it another way, are you, your clients and your colleagues working with the way the brain works – or not? The certified Applied Neuroscience Programme will enable you to know how best to work with the human brain and it’s potential. Enhance your coaching delivery, questioning skills and value to your clients. When we coach, we are using our own brain to come up with quality questions to help someone else’s brain think clearly about a challenge or issue they are facing. Just as we can drive a car without knowing about the engine, we can certainly coach a person without knowing about the brain. But without exception coaches tell us they have found enormous value in having some basic brain knowledge. It gives them a way of helping clients understand what’s going on and this empowers them to make change a conscious choice. Learning about how brains change and how to help this happen enables coaches to deal with clients’ limiting beliefs. One major area in which neuroscience is fundamental to coaching is in understanding how and why we change our behaviours. Implicit in this is a belief that we can change and that we are not too old, too young – or any other limiting belief that might hold someone back from starting the process of change. The research in neuroplasticity (what changes in the brain) and epigenetics (the changes at the level of gene activation that underpin neural change) provides a strong argument in favour of change as a natural process that is always possible. In our experience, individuals, teams and organisations respond incredibly positively once they learn how current research has revealed the extraordinary power of the human brain to adapt and change regardless of age, gender or circumstance. Generate new possibilities – including client recognition that new possibilities do exist. 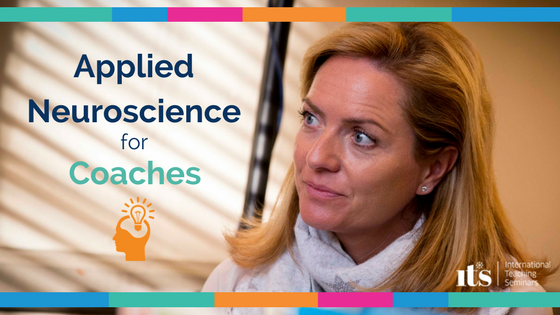 As an applied neuroscientist, Patricia has found that, as she reads more about how the brain works, it has become possible to invent new approaches to coaching which clients have found helpful. For instance, knowing that the brain has a switch that moves us from wanting to exploit our current resources (including our knowledge) to needing to explore new options has allowed her to develop a tool which makes this process more explicit. This is one of the tools especially designed for coaches which we teach on the Applied Neuroscience Programme. This programme also covers how we learn, remember and forget, the neuroscience of leadership and followership plus how this can be used by executive coaches to support leaders, and how neuroscience can support better decision making both in daily life and in organisations. You will also get a better understanding of what motivates people to change, and how to help people become more motivated. Stand out and gain a competitive advantage. If you are a coach who wants to stand out, being familiar with Applied Neuroscience will absolutely differentiate you. The Applied Neuroscience Programme will provide you with lots of new learning but also new tools which you can implement immediately. You can also study to become a Practitioner in Brain and Behavioural Change. This opportunity only comes once a year. Curious? 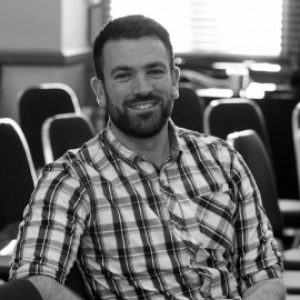 Want to know more about taking your coaching to the next level? Take a look at our Applied Neuroscience Programme. What to expect: Tim Hallbom walks us through his workshop. Hi Christina – thank you for being in touch. I understand you have now spoken to my colleague Helen. We hope you have all the information you need, and please do let us know if you wish to discuss any further.